Meet Joe Culpepper and Rick Jensen, both of Omaha, Nebraska! 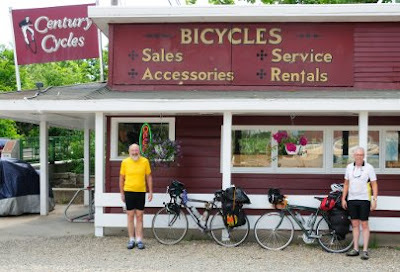 They are the latest group to stop by the Century Cycles Peninsula store during a cross-country bicycle tour. They are riding on the Underground Railroad Bicycle Route from south to north. Night Ride on the Towpath this Friday 6/5! They Love their Electras in Erie, PA!